In 2017 Utilita approached BAM for our advice, help and guidance in their bid to target the student market and raise their brand awareness. Utilita are a leading provider of Pay As You Go energy and with their competitive, flexible tariffs their offering would be very attractive to students. Having never ventured into the student sphere before, the idea of marketing to students was very new to Utilita, so BAM began working with their team to plan and execute an exciting maiden voyage into the student market, creating an engaging, results driven National campaign. Ultilita’s primary objective was to drive students to their online platform and register in the quest to increase their customer base. As we know students are experiencing a key milestone in their lives and are opening to trying the new, and are potentially life long customers for brands if they successfully engage with them during this period. BAM designed and created Utilita their very own cyclone machine to attract and engage students at fairs across the UK. With an array of prizes to be won including BEAT headphones, sweets and stationary, students would enter their valuable email address in return for the chance to tackle the super cyclone in pursuit of the top prize and more importantly the coveted top spot on the leaderboard. 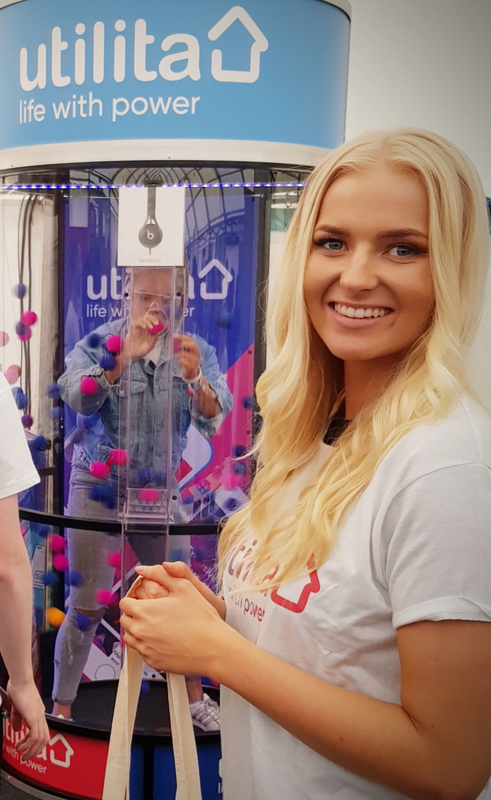 With the activation ready to go our experienced promotional team were set to take the Fairs by storm, starting in Glasgow, with the finish line in Southampton! The campaign was a huge success. Student’s completely engaged with the brand and the activation really helped to capture their attention in a crowded environment. Ultilita’s brand and offering had an excellent reception from students with many signing up to their platform there and then! Utilita certainly made their mark and set a fantastic precedent for future campaigns. As we enter 2018 we are looking forward to supporting Utilita as they continue to grow and expand their marketing plans. Watch this space.